Am I the only one that thinks having a Lakota Sun Dance in places like California or Indiana is kinda weird? This is a Ceremonial Sundance please phone for protocol information and directions to this very spiritual event. If you Google the name "Steve McCullough", there seems to be a great deal of controversy surrounding his Salt Creek Sun Dance. I can't beleive this!! These people obviously have no clue! Has anyone told any Lakota sundancers about this? Maybe if they went to the state that it's being held in and explained the dangers, physically & spiritually, these idiots wouldn't be able to have a sundance. This MUST stop!! I just read the entire thread from top to bottom in one sitting. WoW! Good info that concerns all of us. If I need a medicine man, I'll call my elders back home to get an appointment as to see who and where. If I need sundance, I'll do the same. "Tribal authorized only" is always the right way to go! Just curious, has anyone ever heard of an organization called "New Age Frauds & Plastic Shamans" or NAFPS? I've not had a chance to look it over real well. But it was one of the websites that came up when I Googled "Steve McCullough". I just took a look at this NAFPS website. Who and or what is running this website? There is not a contact name or anything to show that the website is legit. No tribal affiliations or contact points. No physical addresses or P.O. box. No phone number. There is nothing to verify that this website is the real deal! I smell a white man! Go to the main page: New Age Frauds & Plastic Shamans, and you will find the email address under "contact". The man that was behind is Mexican Indian and white I think. But then some wannabes made a huge stink about him and the site and I don't know if he's still running it. email addresses are not able to be verified. You never know who you are talking with or where that email is actually going unless you personally know the person. There is no positive proof of ownership or tribal affiliation to the website. You can get a dot-com website for as little as $5.00 per month. If you know how to hack, you can setup a free dot-com account. I've been on the powwow trail a long time. I have heard it all from who slept with who to births and deaths at powwows, and everything between. To me it's all crap without positive proof. People say that information is "on the wind". Guess what! I can pass gas and it's "on the wind" too. If you can't back it up, It's crap in my book! In today's day and age of the internet, there is so much crap out there it isn't funny! Last edited by TKMJ Productions; 12-24-2008 at 12:25 PM..
Hey TKMJ, you look familiar. 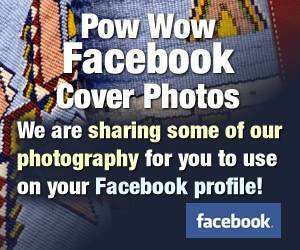 Did you work the powwow in Tecumseh Michigan last summer? Me work???? I was hiding behind the sound board. That place was full of Indians!!! That powwow was a BLAST!!!!!!! Last edited by TKMJ Productions; 12-25-2008 at 11:23 PM.. Here is another fraud, that has come up in conversation with my full-blood friends & REAL sundancers that I know. Richard Street, claims Meskwakie Nation, but not on ANY tribal rolls, has been performing Yuwipi ceremonies & being paid to do other ceremonies. The funny thing here is I heard that he tried to perform a yuwipi and couldn't get out of the blanket!! He almost suffocated & the ropes tied on him had to be cut off!! I think that after that incident, you would not try to play medicine man anymore!!!! Last edited by Rezkat33az; 12-29-2008 at 03:56 PM..
Could this Richard Street have another name that is regestered with the tribe? Has anyone gotten any positive proof that he is not a tribal member in writing from the tribe? Could he belong to another? Without positive proof it's only "on the wind" and sometimes the wind stinks of buffalo gas. Case in point. I knew a gentelman that was a vendor on the powwow trail. His shop was called "Medicine Man" He sold sage, tobacco, sweetgrass, herbs, and tonics. He was a herbalist but the name was catchy. He got a lot of business until his name came up as a fake medicine man. He was run out on a rail for the presumed assumption. Was that fair because people assumed? There is proof, several traditional people & the US Fish & Wildlife Service looked into his NDN claim- no one found him registered anywhere. The US Fish & Wildlife service was interested because Richard & one of his brothers were convicted of shooting eagles & hawks & selling thier feather/parts & went to prison for it.There was an article in News from Indian country or Indian Country- can't remember wich publication. ALSO I was lokking up Navajo Medicine men on Google & found this interesting 'New Ager' site gushing about how a Navajo medicine man is coming to visit them in PA, note the prices they are charging!!! OMG does anyone 'not' get it????? wledge knows that these are gifts given to u by the creator himself and it isnt something that u should toy with leave well enough alone. if he wants u to have than u shall if he dosent it will not be your gift.